The time to plant your new trees is immediately upon getting them home. If you need to delay, the roots can be placed in a bucket of water for no longer than a period of 24 hours. Prune the top of the tree. Cut back the tree 30%-40%. Remove all but 3 to 5 well-spaced branches. Limit each branch to no more than 2 or 3 buds. 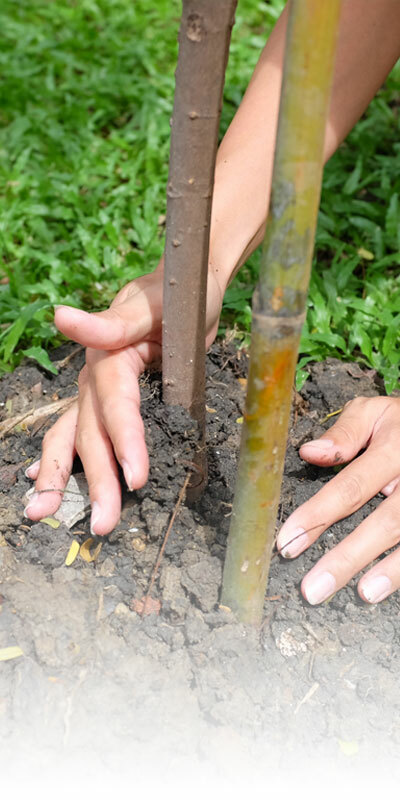 Dig a hole 2 to 3 times as wide and as deep as your trees’ roots. Place a small mound of soil in the middle of the hole to support your root system. To enhance your tree’s adaption, add mycorrhizae powder to the hole and ensure it makes contact with the root system. Plant tree so that the graft is 2”-5” above the soil line. 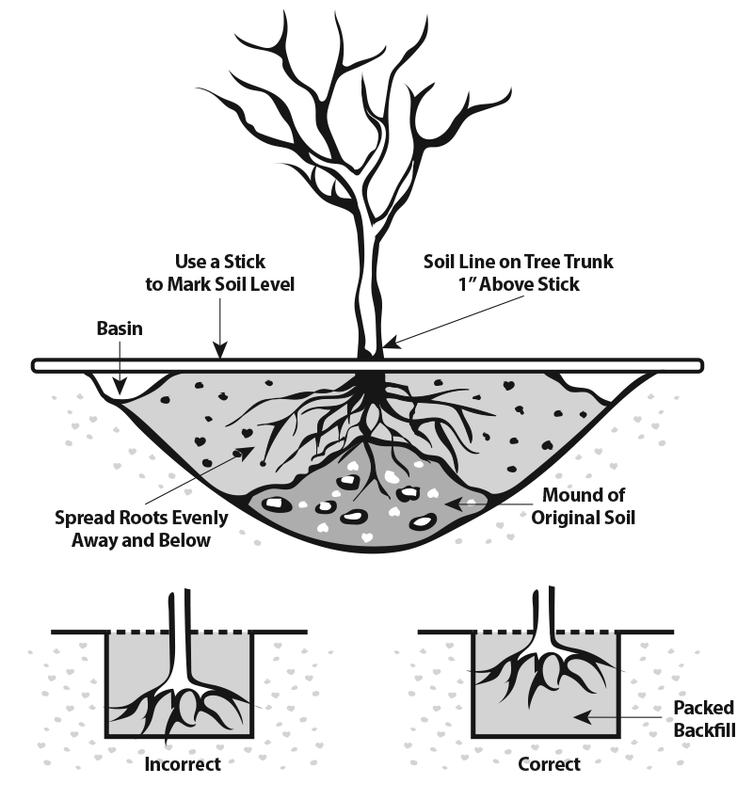 Tree should be planted 1”-2” above soil line to allow for some settling. The inside curve of the graft should be facing North/Northeast to prevent sunburn of the tree trunk. Tamp hole down with shovel (not your feet) to help remove potential air pockets. Apply mulch 2”- 4” deep around the entire root zone. Ensure that mulch is 8” – 12“ away from the trunk of tree. Water the tree deeply (around 5 gallons) after planting to remove any remaining air pockets. Do not water again until tree is starting to leaf out. Whitewashing the trunk of the tree is essential to prevent sunburn.